Cello Concerto "Tout un monde lointain"
Violin Concerto "L'arbre des songes"
Symphony No. 2 "Le double"
Nocturne for Violin & Orchestra "Sur le même accord"
Timbres, espace, mouvement "La nuit étoilée"
"... (a) gorgeous, authoritative collection." "Four Stars ... the technical standard of the playing is extremely high." "Editor's Choice ... intuition tells me that Dutilleux would have gravitated towards (this) approach ... veins of orchestra perspective are opened up ... (Morlot) evokes the thrill of ears discovering orchestral vistas and architecture in the moment." "... much to praise ... Morlot clearly shows affinity for this composer ... the Seattle Symphony performs outstandingly well for him and the engineers provide state-of-the art sound ... do not hesitate to add this to your collection if you have the slightest interest in the music of Henri Dutilleux." 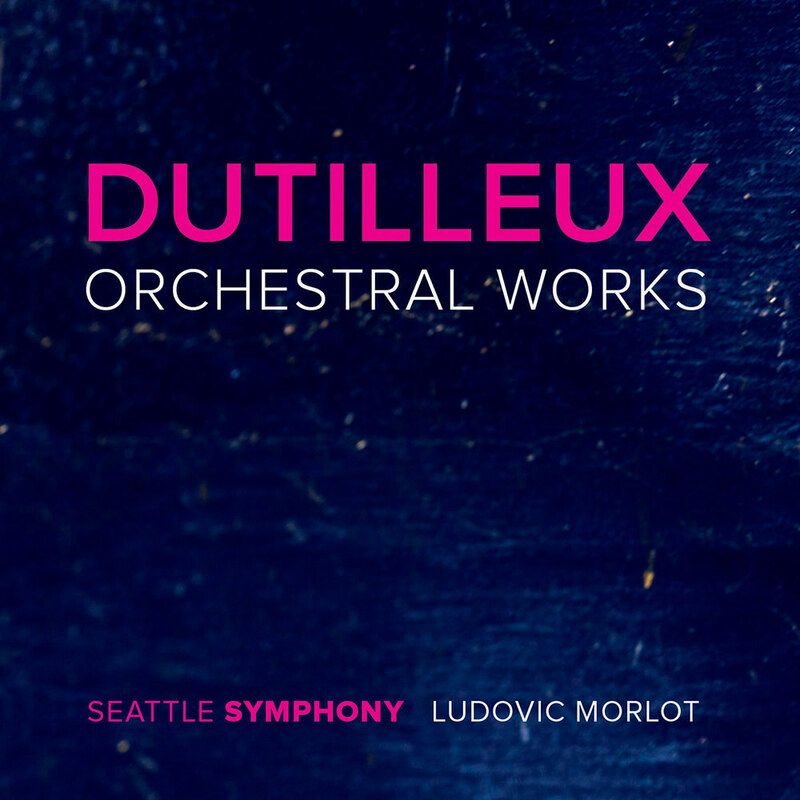 Ludovic Morlot and the Seattle Symphony commemorate the centenary of the birth of Henri Dutilleux with this extensive box set of the composer’s orchestral works, the culmination of a multi-year series dedicated to one of France’s most important musical figures of the second half of the 20th century. The 2016 final installment takes its place alongside the triple Grammy-nominated first volume from 2014 and the Grammy-winning second volume, released in 2015. The third volume, also available individually, features Grammy-winning violinist Augustin Hadelich and concludes with a live version of Timbres, espace, mouvement "La nuit étoilée", recorded in concert in late April 2016. The SSO has been championing Dutilleux since the start of Morlot’s tenure in 2011, a project of deep personal significance to the conductor. “I first met Henri Dutilleux in the fall of 2001 ... I had the privilege of sitting next to Dutilleux during rehearsals ... I witnessed firsthand his considerable creative powers, as he was a perfectionist in the best sense of the word and always engaged. We subsequently met over martinis in Paris, discussing music and literature. He made an important era of 20th century music come alive for me and in the process deepened and enriched my understanding. I feel grateful to have known him."